Blog | How Often Should I Have My Carpets Cleaned? It’s a question that has multiple answers. Professional carpet cleaning should be done in your home on a regular basis, but what is regular for one home may differ from that of another. Having indoor carpeting installed in a home is a large investment and should be treated with care. As a homeowner, you definitely don’t want to have to replace it. You also want it to look good. 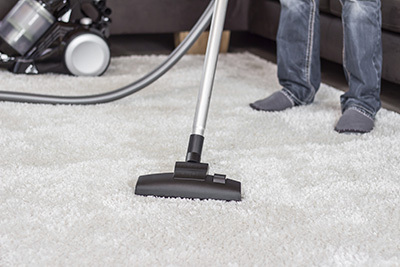 So, how often should I have a carpet cleaning service in my home? If you have allergy sufferers in the home, this will play a role in how often you have carpet cleaning done. Your floor coverings are full of all kinds of dust particles, dust mites, allergens, and other pollutants. All of these things can irritate someone who has allergies. When someone vacuums in the house, all the particles in the carpets will fly into the air. Someone with allergies may breathe those particles in and immediately get watery eyes, get a runny nose, and begin sneezing. Homes with allergy sufferers will need more frequent cleanings. Homes with pets will need carpet cleaning more frequently as well. Pet dander can be an allergen and cause problems for those with allergies. Pets will track dirt and other bacteria into your house after they have been outside. If you have more than one pet that will play a role in how often a professional carpet cleaning is necessary in your home. Just like with pets, children will add to the number of pollutants and allergens that become lodged in your carpeting. The kids will come home from school or come in from outside with all sorts of bacteria and other particles that may find their way into the fibers of your carpets. It has been reported that poor indoor air quality can lead to the onset of asthma in young children. If you have kids, a carpet cleaning company should be in your home more frequently than in homes without children. As a general rule, it is recommended that you have carpet cleaning done once a year. That number would vary depending on some of the factors mentioned above. You may need to have this done more frequently, maybe once every eight or nine months, or you may be able to get away with having carpet cleaning done once every other year.